WASHINGTON (Reuters) - The number of Americans filing for unemployment benefits fell to near a 49-year low last week, pointing to sustained labor market strength that should continue to underpin economic growth. Last week’s claims data has no bearing on August’s employment report, which is scheduled for release on Friday, as it falls outside the survey period. Claims were mostly low during the month. According to a Reuters survey of economists, nonfarm payrolls likely increased by 191,000 jobs last month after rising by 157,000 in July. The unemployment rate is forecast slipping one-tenth of a percentage point to 3.8 percent, revisiting an 18-year low touched in May. Though there have been reports of some companies either planning job cuts or laying off workers because of trade tensions between the United States and its major trading partners, that has not yet been reflected in the claims data. Washington is in an escalating trade war with China and has slapped import tariffs on other partners, including the European Union, Canada and Mexico, prompting retaliation. 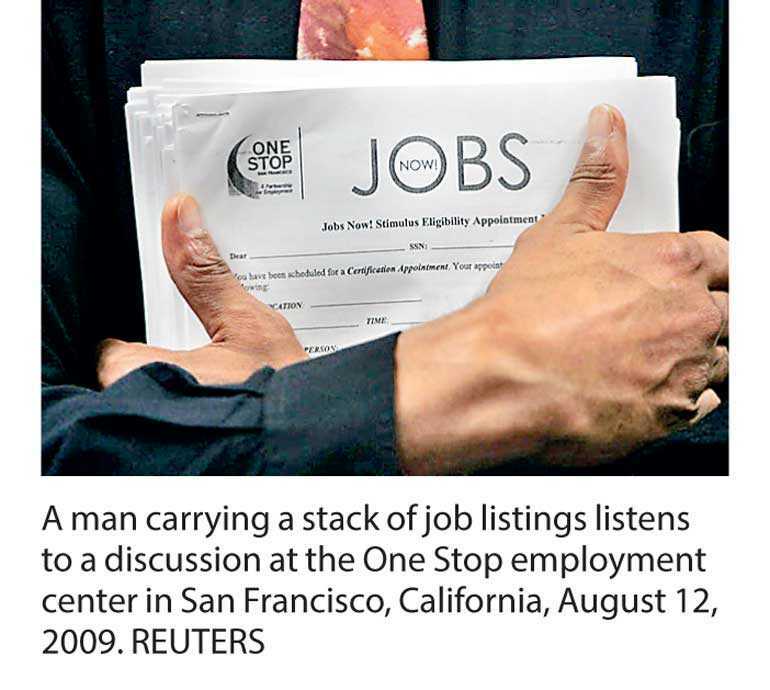 Economists say given labor market tightness, employers were reluctant to lay off workers. The labor market is viewed as being near or at full employment. Thursday’s claims report also showed the number of people receiving benefits after an initial week of aid decreased 3,000 to 1.71 million for the week ended Aug. 25. The four-week moving average of the so-called continuing claims declined 13,250 to 1.72 million, the lowest level since December 1973.